Soak the chickpeas in water overnight to reduce cooking time. Cook for 30 minutes or until soft. Drain the water and let them cool down (place 2 handfuls aside for roasting-optional). 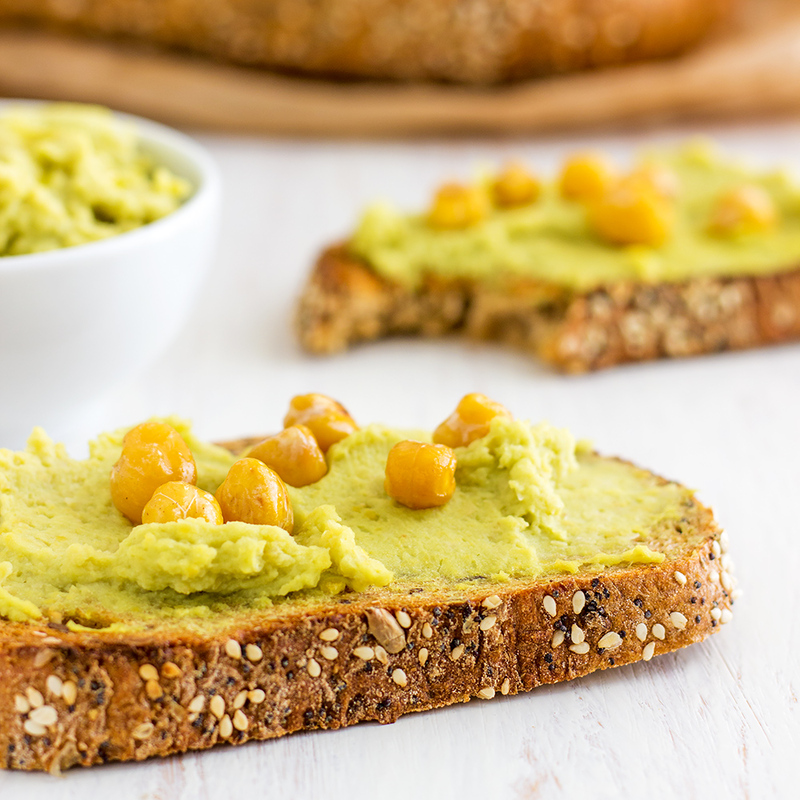 Place cooked chickpeas in a food processor, pour olive oil in and process until you get nice fine crumbs out of it. Wash the avocado, cut in half and remove the stone. Spoon out the flesh and place in your food processor. Pour in juice from one lemon. Again pulse until you get nice smooth spread. Taste it. Add salt, black pepper and some extra lemon juice, if needed. Optional: For some extra crunch roast a handful of cooked chickpeas on frying pan (using no or a tiny bit of butter). This will take 2-3 minutes. 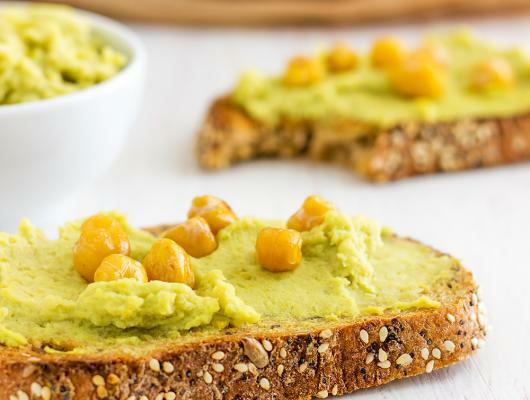 Toast bread of your choice, spread this super healthy avocado hummus over and top with roasted chickpea.